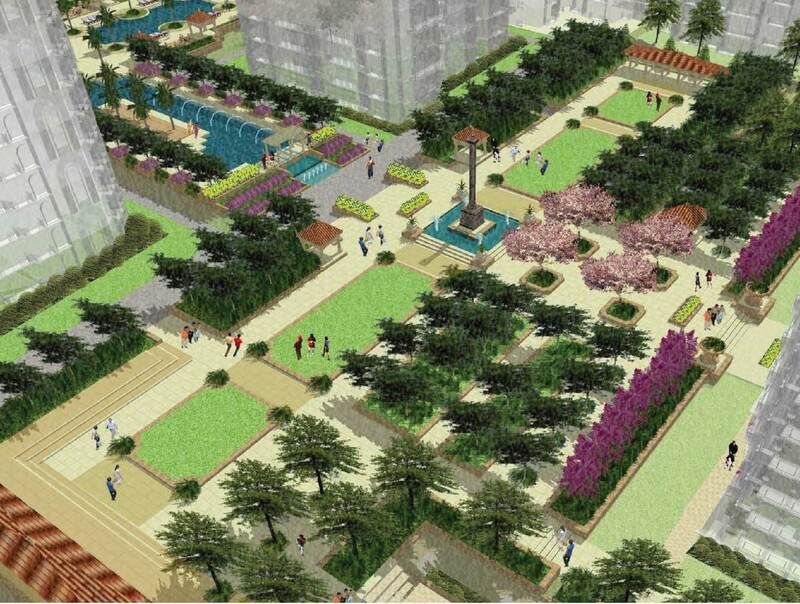 DLF Capital Green – Green Space Alliance | Urban designers | Planners | Landscape Architects. 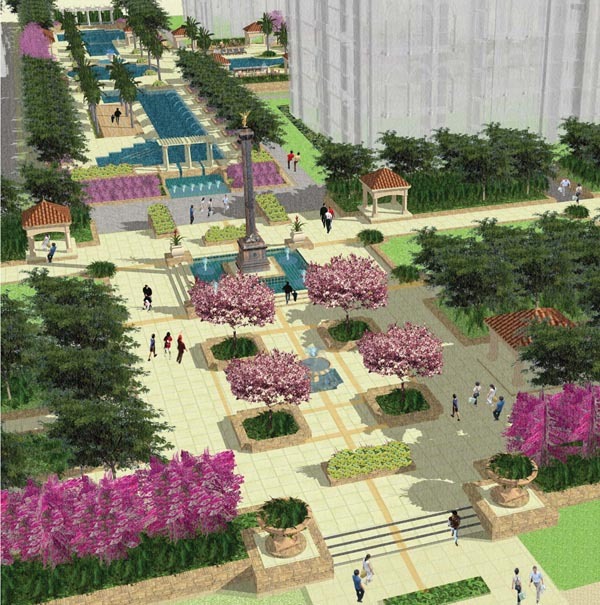 This 40-acre project site is located at the intersection of two major roads and is surrounded by 150 acres of reserved parkland. 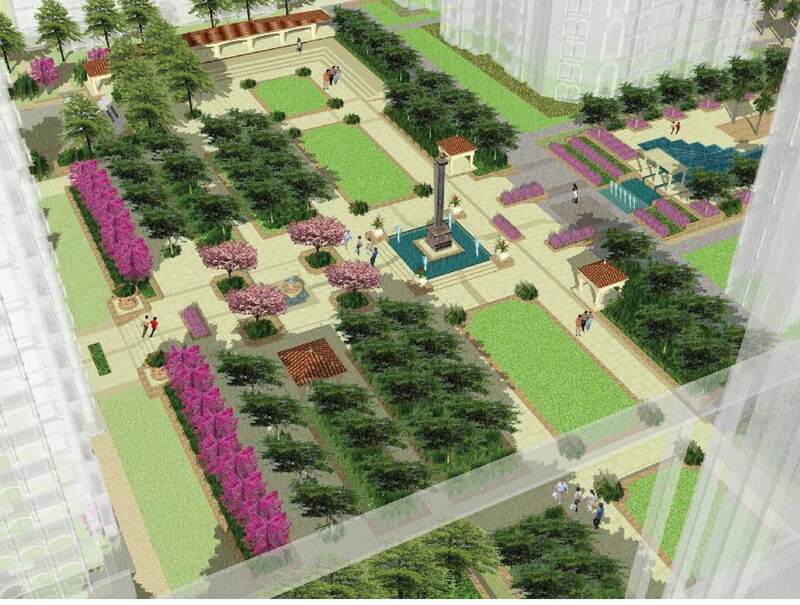 The project consists of 23 residential towers containing 3,000 units and a 9,000 sq.m. retail and commercial office complex adjacent to the main road. 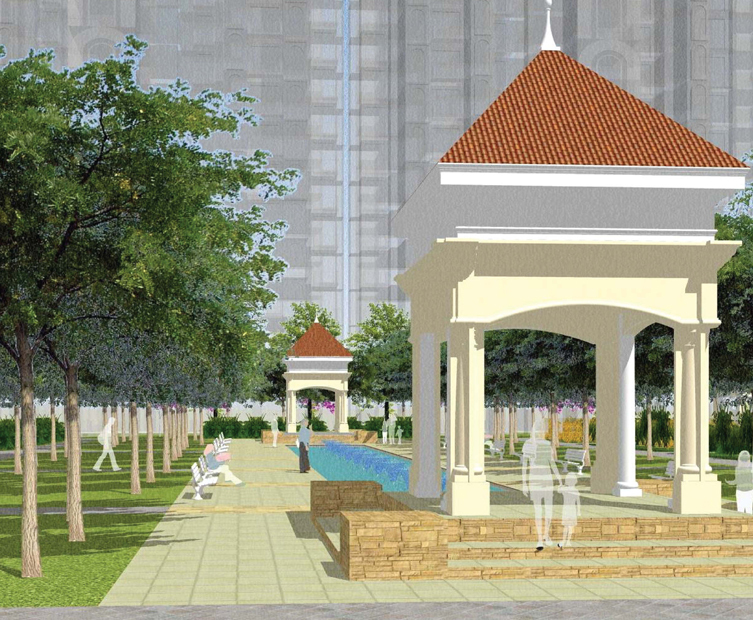 The landscape design complements the Mediterranean architectural style while integrating subtle design influences reflective of the New Delhi planning and design language. Our design creates a wide range of spaces for residents of all ages. 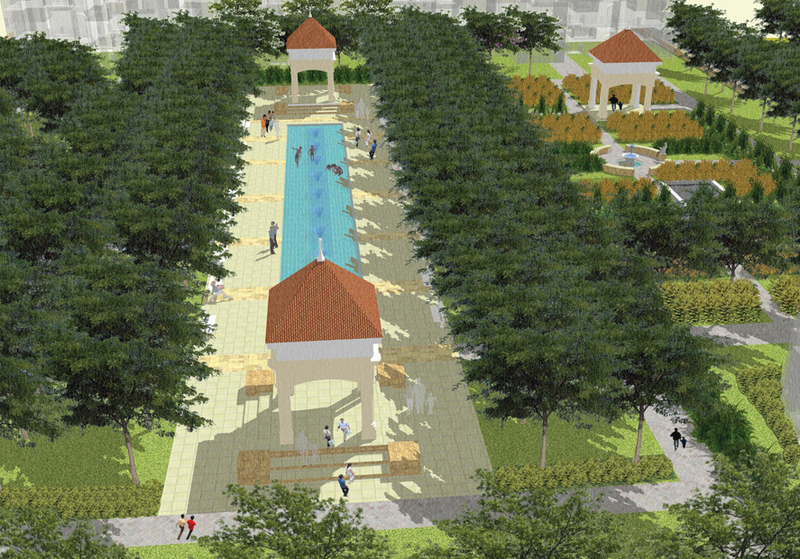 A variety of sport courts, several water features, multiple swimming pools, groves of native trees and a multitude of active and passive recreational opportunities that are integrated throughout the design.